 The Kennesaw Chabad House is under the dynamic leadership of Rabbi Zalman and Nechami Charytan. 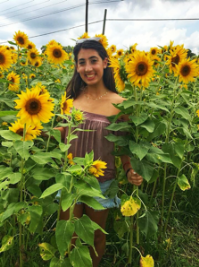 Together with their children, they continue to make Jewish Life at Kennesaw State and throughout the Kennesaw area a reality for the Jewish Student and Community. 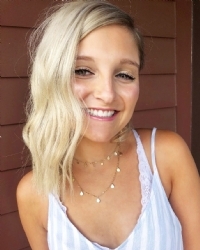 Hi, I'm Sasha and I am a senior at KSU studying Journalism. It has been a true honor serving as president of the Chabad board. It's been amazing to see the growth of our once-small Jewish community throughout the years. Chabad gave me a place where I feel like I belong, where I met awesome friends, and made memories I will cherish forever. My college experience would not be the same if it weren't for this organization! I want to be able to give other Jewish students the same great experiences that Chabad gave me. From Shabbat dinners, to Cafe Chabad, hotdog stands, and holiday celebrations, there are so many fun things happening every week. Come hang out with us! Hey everyone! My name is Abigail Feehley and I am from Savannah, GA. I’m a senior here at KSU studying Public Relations. 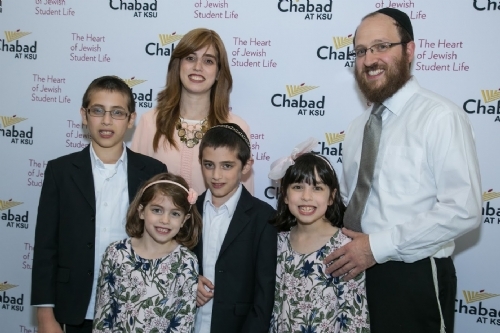 When I think of Chabad, I think of family. I have been actively involved in this organization since my first week of freshman year. I can honestly say that I felt an instant connection when I attended my first event. And as of now, the majority of my friends are people that I met through Chabad. There is no other organization on campus that will make you feel as warm and special. I encourage all Jewish students on campus to get involved! Hello! My name is Erick Mulicandov. 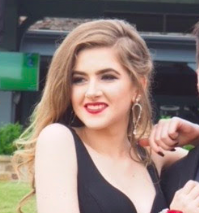 I am currently pursuing a degree in Business Finance and love every aspect of the business world. I enjoy outdoor activities, playing sports, getting to know new people, and being around my friends! I encourage every Jewish student to get involved and come to Chabad’s programs and events. As college students, many of us have challenges finding the right balance between school, work and life in general. One thing you can always count on is Chabad. No matter what your situation is or what time of the day or night it is, you will always find a warm and welcoming home full of love and care for each individual. 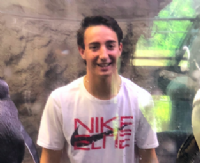 My name is Roman Avchukov and I am currently a sophomore pursuing a degree in Exercise Science. I enjoy having a physically active lifestyle that includes traveling and constantly learning through new experiences. 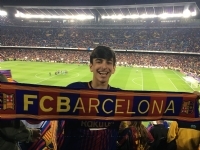 Being involved in Chabad has developed my perspective and increased my knowledge of Judaism significantly while also actively connecting with other Jewish students on campus through exciting events! From being on Chabad board, I want to help strengthen the Jewish community and gain leadership experience. Hi everyone! I am a senior majoring in Public Relations. I joined the ChaBoard because I love planning events, designing graphics, and Chabad! My first KSU Chabad event was a challah bake and I knew no one going into it, but I instantly felt welcome. I work as a youth group advisor at Etz Chaim during the school year. I also film and edit their promo videos for high holy days and Purim. In my free time I really enjoy crafting, watching lifetime movies, and shopping. I went to Israel on Birthright a few years ago and highly suggest going; it was an amazing experience! I am really excited for a great semester! Hi everyone! My name is Avital Shimon and I am a freshman here at KSU. I am currently undeclared but I am considering perusing a major in either apparel and textiles or public relations. Some of my hobbies include dancing, traveling, trying new things, fashion, photography, and music. I am originally from New York but moved to Marietta when I was young. I am currently a member of the Marching Owls Color Guard and absolutely love it. Chabad is important to me because it is a place where I can find a sense of belonging while experiencing Jewish pride. While being on the board, I will be helping out with the decorations and set up for events. I will also be contributing new ideas to make Chabad grow on campus. I am so excited for this year and I can’t wait to meet everyone! Hey my name is Stephanie and I’m so excited to be on Chabad board!! I’m majoring in biochemistry on a pre-medical path and my long term goal would be to become a cardiovascular surgeon. Ten years of school is a crazy long time so I might choose to become a physician’s assistant instead. I have a black belt in karate, several gold and silver metals in fencing, and I’ve done dance for most of my life, gymnastics, ice skating, horseback riding, soccer, swimming, etc., but my current hobbies would be to make sure everyone has a blast this year in Chabad. I wasn’t raised super religiously since both of my parents grew up in Soviet Russia, but I’ve always been curious about Judaism, and ,honestly, the community aspect of it really just welcomed me in. Be on the lookout for some amazing events and opportunities this year, and all of us on Chabad board are so thrilled to have everyone on board (get it) for this year’s program!! Hi, my name is Stephen Cohen, and I’m a Freshman here at KSU. I love to play and coach baseball. I also play on the KSU Club Baseball Team and I love it. I was the Vice President for my High School Jew Crew and I‘m so excited to serve on this Chabad Board and make it the best it can possibly be. I will help plan amazing events and I can’t wait to meet new people and make them feel welcome at Chabad. What’s up everyone! 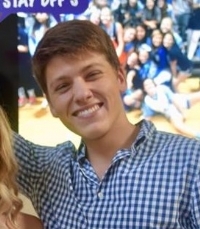 My name is Joey Tarab and I’m a freshman at Kennesaw State University, majoring in Psychology. In my free time, I enjoy hanging out with friends, playing soccer and just college life in general. 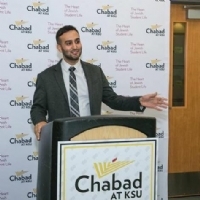 Chabad is important to me mainly because I feel that it has given me a home since I first came to KSU, and is a sanctuary for every Jewish person on campus, which I think is pretty special. As a board member for Chabad, I plan to spread the word about what we’re doing in the hopes of bringing more people out to events, whether it be Shabbat or events pertaining to the holidays. With my hard-working, yet confident and open-minded mentality, I aim to see new faces every day at Chabad and help grow the organization even more than what it already has become. Thank you!